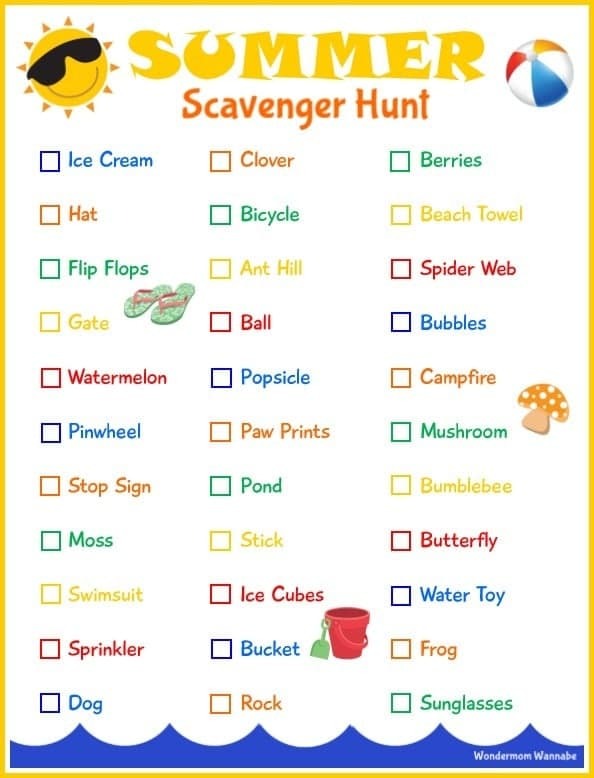 This printable summer scavenger hunt is a fun way to keep the kids occupied for an afternoon during summer break. Like my other scavenger hunts, this list is full of items easily found in most neighborhoods. 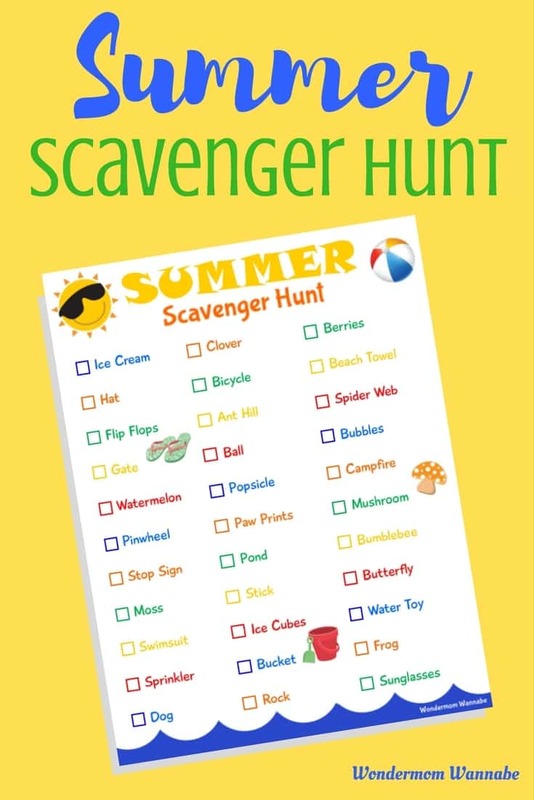 The summer scavenger hunt is easy to use. 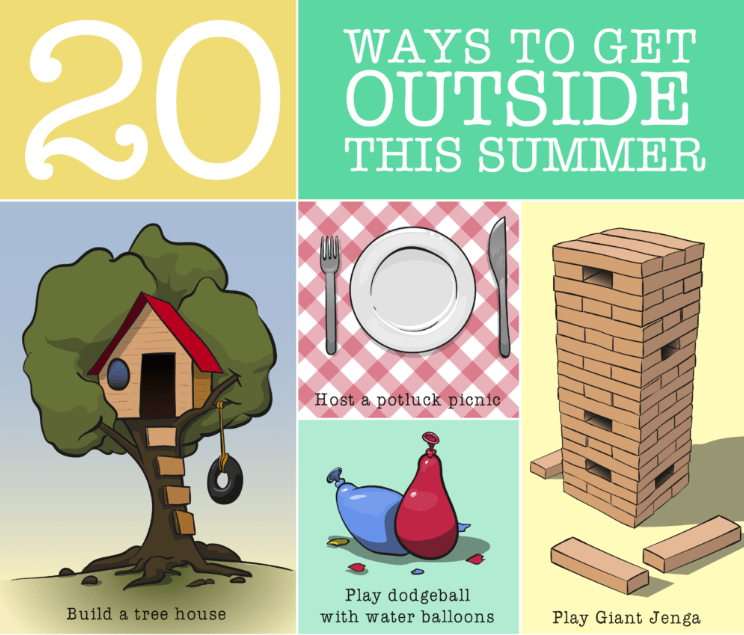 Your kids just need to head outside and search for the items on the list. Then, they check them off each item as they find them. Arm the kids with an inexpensive camera so they can take a picture of each item as they find it. Or, make it a family event and do the hunt with them. You can be the official photographer and take their picture with/next to each item. Give each person or team their own list and have them compete to find the most items in a set time period. The winner gets a prize and everyone enjoys ice cream or popsicles after the game. If you don’t want to have players compete against one another, you can instead create tiered prizes. This is especially fun if you do the scavenger hunt together as a family. Find 1-10 items, we’ll have watermelon as a treat. Find 11-20 items, we’ll catch fireflies after dark. Find 21-30 items, we’ll have a water balloon fight. Find all 33 items, we’ll go to the pool or water park on the weekend. Obviously, you can make the prizes whatever you want. These are just a few suggestions to give you some ideas. Now that you have some ideas of how to have fun with the scavenger hunt, here it is. Just fill in the form below the image for immediate access. If you enjoy the spring scavenger hunt, you might also enjoy some of these other scavenger hunt and treasure hunt ideas. 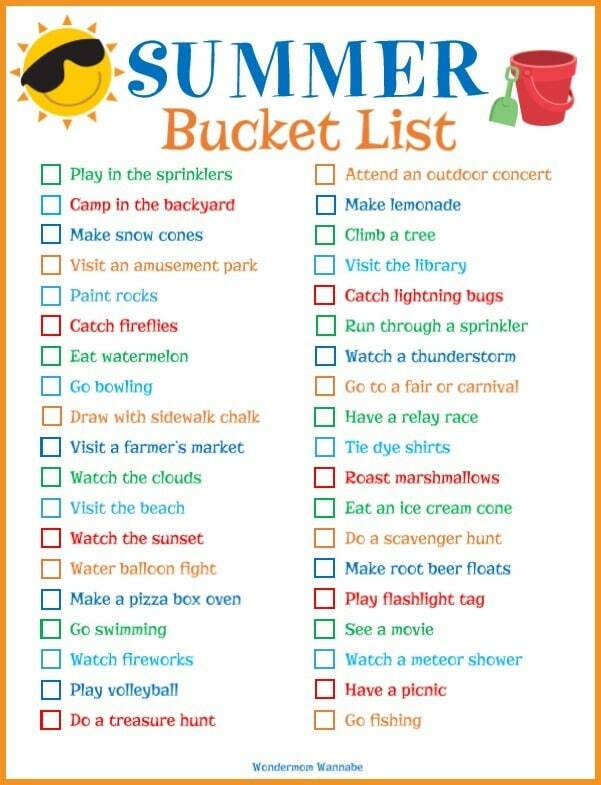 For more summer fun, print off my Family Summer Bucket List and try to complete all of the activities. 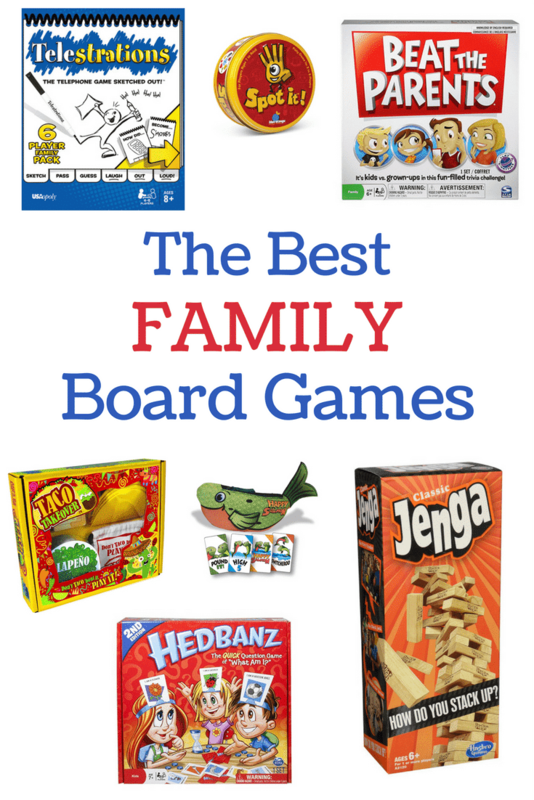 On days when the weather outside is unbearably hot, pull out a family board game. Click the image below to see my family’s favorites. Feeling adventurous? 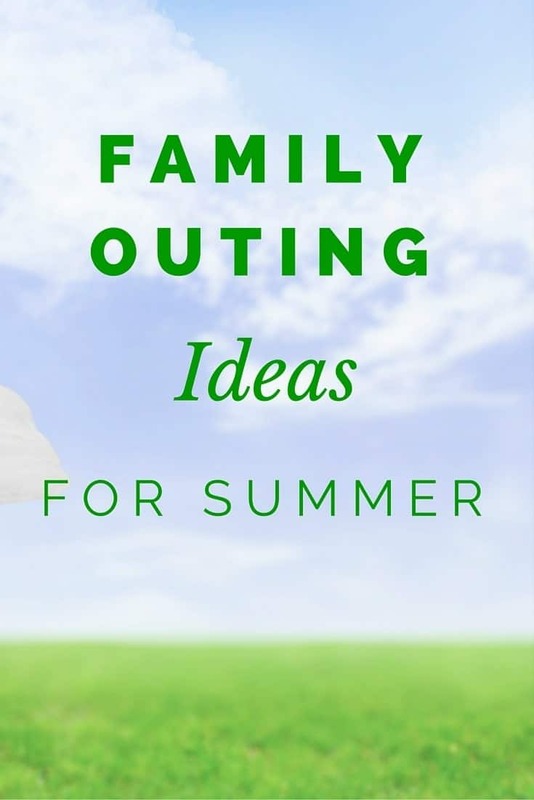 Try one of these summer family outings.